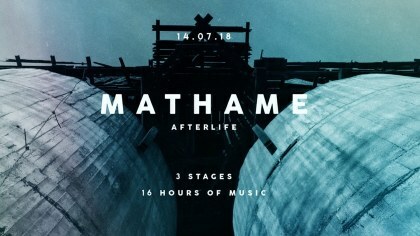 1 year of Coincidence w/ matHame of Tale Of Us label Afterlife. is the audio project from Amedeo and Matteo Giovanelli. It has started in 2013 when they were living on a forest placed at the slopes of the most active volcano in Europe, the mount Etna, where they both worked and developed their unique sound imagination. The brothers also grew up on their parents' “Radio Taxi” remnants, rock pirate radio of the 80’s active in the Northern Italy. Amedeo, 21 years old, is the dancefloor monster and has a deep, strong feeling of people’s wants & needs on the dance-floor. Matteo, 32 years old, is the spiritual, esoteric and old-school knowledge side of the project.